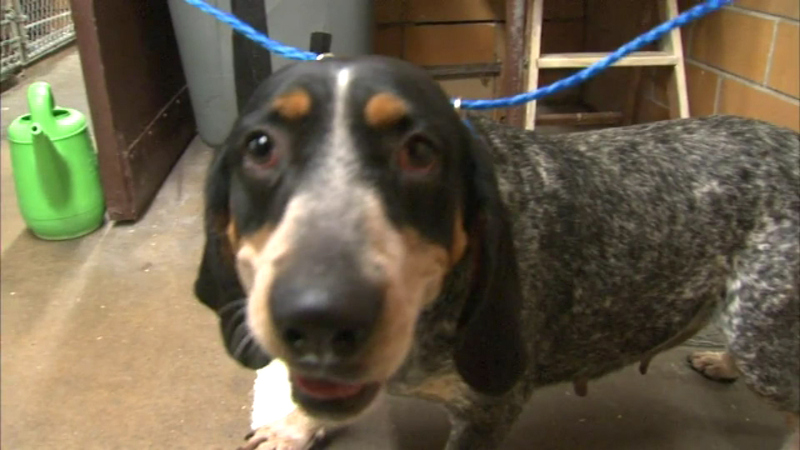 Sixteen Blue Tick Hounds were rescued from Cass County, Ind. SOUTH HOLLAND, Ill. (WLS) -- Sixteen rescued Blue Tick Hounds arrived in suburban South Holland on Tuesday on their way to foster homes. This spring, 25 dogs were found dead in Cass County, Ind., but these 16 were saved. Rescue groups from the Chicago area, Colorado and Canada came together to find foster homes. Eventually, the dogs will be put up for adoption.